Standing on the Adriatic Sea, Venice seems to rise naturally from the water and this characteristic is part of its charm. To capture in a shot the impressive reflections on the canals of Venice and the movements on the surface of the waters, come with us along this water in Venice photo tour. 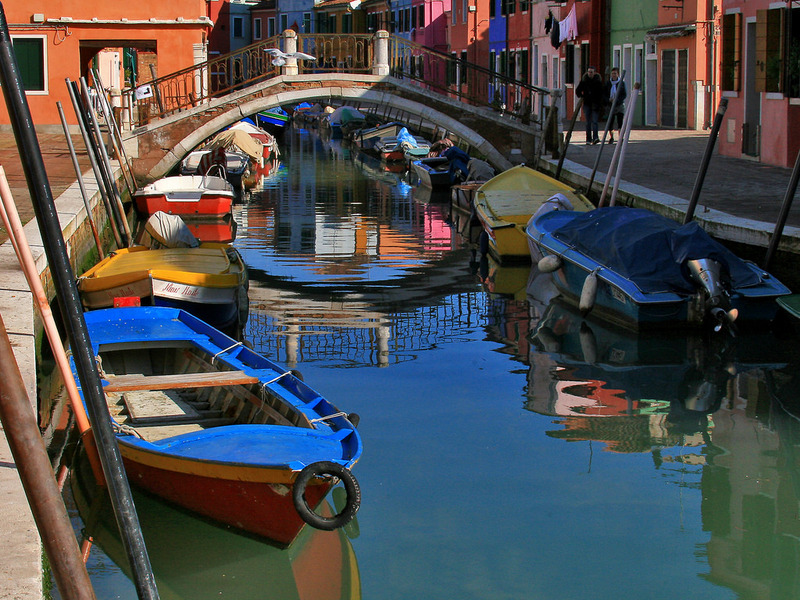 All about the WATER IN VENICE PHOTO TOUR. Considering Venice as an incredible, unique city for its structure, we imagine the majority of you to be interested in capture, not only the authentic soul of this city, but to do it by using its main distinctive element: water. Canals are an interesting and peculiar feature of Venice, they are used as roads offering to a photographer endless opportunities to capture the coming and going of transports and people or the movements generated by them. For this reason, you won't find more colorful and dancing reflections than here. Furthermore, sky, buildings, lights, sun and moon could reflect in the relaxing, sparkling and calming waters of the lagoon. If you want to truly improve and develop your abilities in photography, follow our master photographer in this short on-the-field workshop! With our insider professional you will easily obtain stunning pictures thanks to the many tips and tricks offered by a real expert. Walking on and off the beaten paths you will immerse yourself in the magnificent context of the lagoon city, learning to capture pictures, that will help you feel completely satisfied by your competences. Shadows, lights, movements and reflections of the waters will give you thousands of ideas and hints to experiment with your camera settings and composition. Being surrounded by ancient buildings and bridges, façades glow in its waters all over each part of the canal. Extremely interesting on its own, you can wait the pass of a gondola or a boat to take advantage of the movement they create on the surface of the water. It could be considered nothing more than a tourist hotspot, but we think that overlooking on it in search of the sunset is one of the most heart breathtaking experiences to live in Venice. Even with a camera. The sinuous curve of the canal flanked by colorful buildings and the busy streets all around, with their people, lights and restaurants, offer a perfect foreground. A gem of the Venetian lagoon, really worth a visit. In this workshop we will look at the colorful houses and architectures reflecting on the calm waters of the lagoon, and, walking towards the external shores, we will appreciate the slow movement of the boats and their glare.